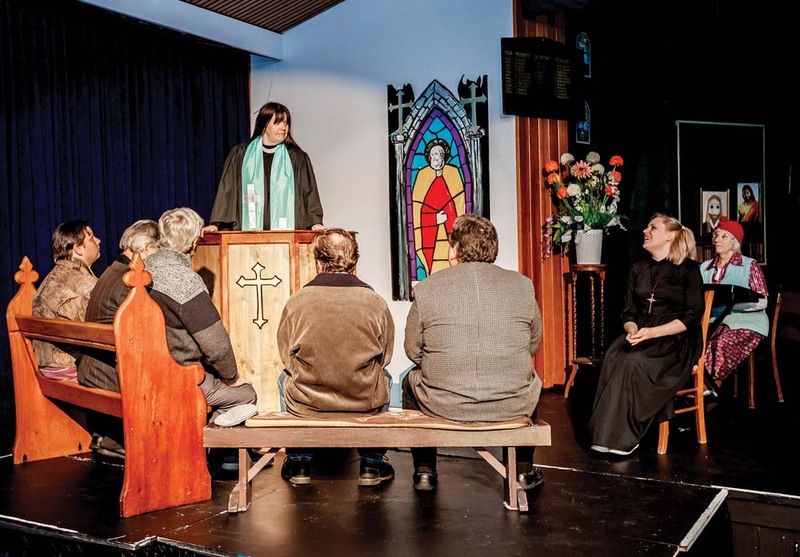 HUMOUROUS insights into religion and life in an English village are coming to Rosebud in a stage adaptation of the Vicar of Dibley television series. “I am a huge fan of Dawn French and the cast of the TV series,” director Keith Gledhill says when expressing his delight at being asked to take charge of the Southern Peninsula Players’ production. A fan of the series, Gledhill chose to bring three episodes to the stage: “Arrival”, “Dibley Live” and “Autumn”. The TV scripts have been amended to suit live stage performances. “The Vicar of Dibley is a magnificent example of British comedy at its best,” Gledhill says. Geraldine Gordon plays the Rev Geraldine Granger (the role made famous by Dawn French) supported by Sarah Jeffs, Robert Lister, Chris Kirby, Eric McPhan, Isaac Scmidt, Anthony Connell, Lorraine Williams and Winston Hall. The Vicar of Dibley is at Rosebud Community hall, Point Nepean Road, Rosebud, 8pm Friday 18 May; 8pm Saturday 19 May; 2pm Sunday 20 May; 8pm Friday 25 May; 8pm Saturday 26 May; and 2pm Sunday 27 May.